Yesterday I visited Simrishamn, a great place for gulling in Sweden. Except for four Yellow-legged Gulls I also saw a Herring x Caspian Gull hybrid. 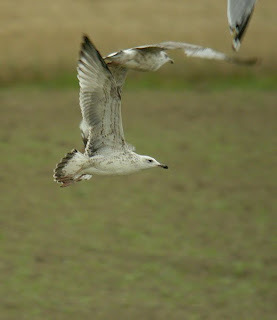 I initially saw it in the binoculars with its wings up and I thought "nice, a young Caspian Gull!". 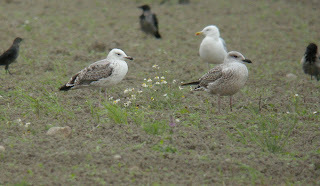 Here, the pale underwing that got me thinking of Caspian is visible. 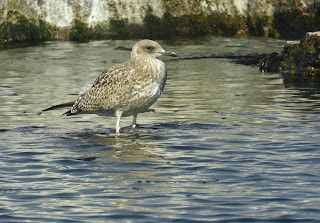 The pale window at inner primaries fits Herring better than Caspian. 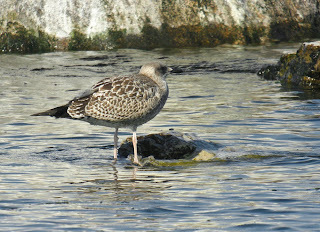 After scoping it I found out all the upperparts including tertials were of Herring type. bird's shape was all Caspian Gull as well as its face. 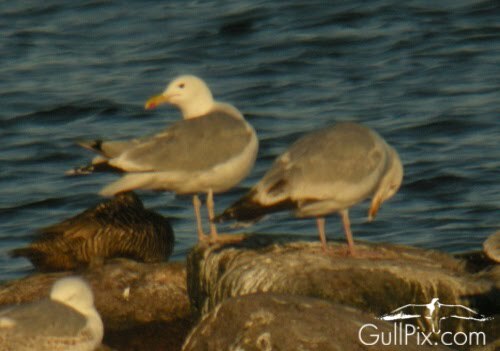 After a great summer (in gulling perspective) at Öland in the SE of Sweden I went home to Köping in the middle part of Sweden, 150km inland. The plan was to stay there for a few days before going back to Lund in the south again. 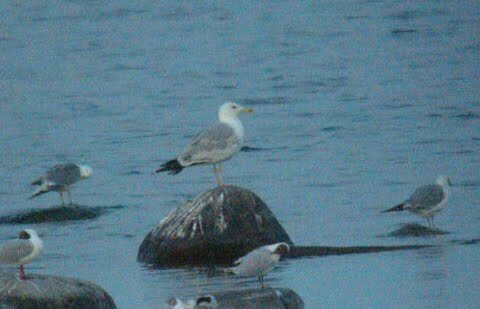 I wondered if there could be any Caspian Gulls in Köping a good gull summer like this. 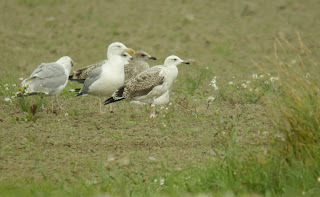 The first morning I headed for the rubbish dump and at a field nearby I found a group of barely 100 gulls. Among those Herring Gulls were a few Great Black-backed Gulls and... a 2nd cy Caspian Gull, and a perfect individual too! 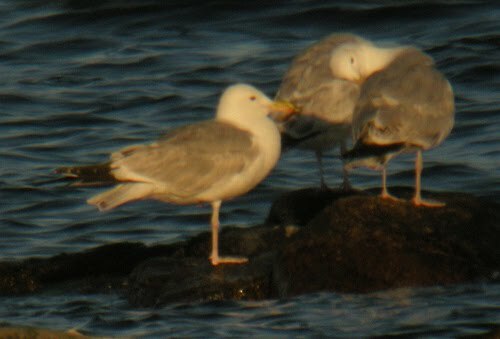 This was the third record of this species in the province of Västmanland and the first for Köping. 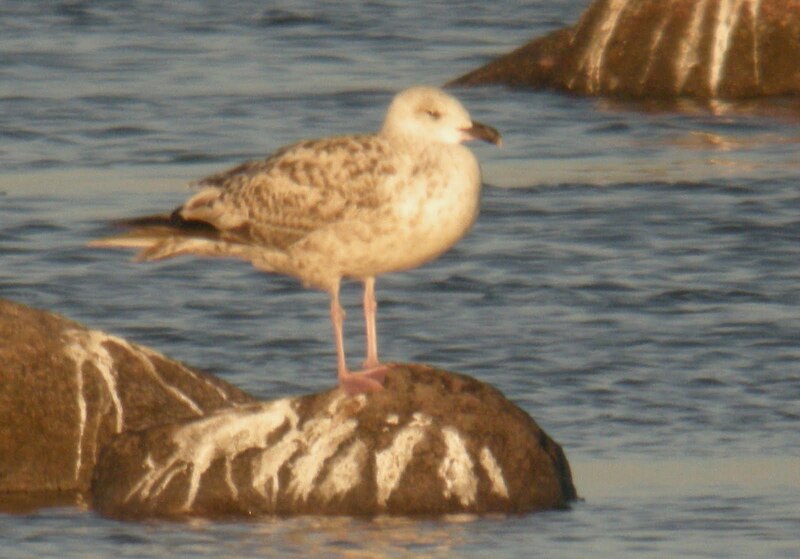 I wonder if I was just lucky or if this species is frequent in the lake Mälaren. 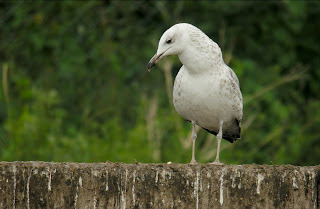 Anyhow, here follows a photo serie of the gull who's surrounded by Herring Gulls ssp. 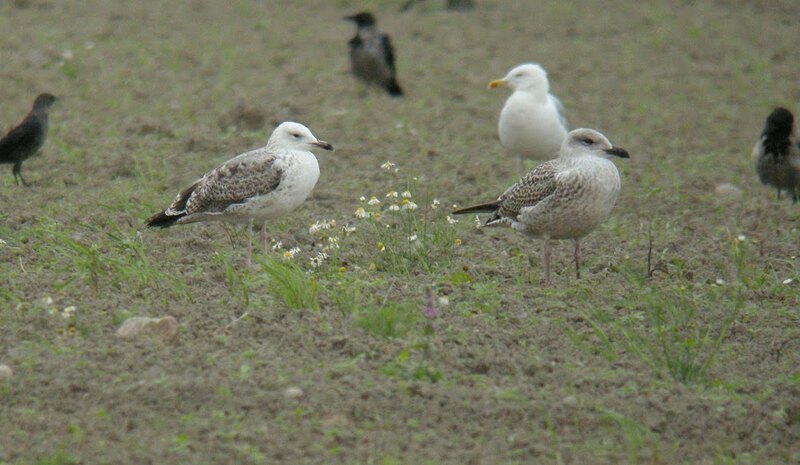 argentatus and some Great Black-backed Gulls. "Finally", me and my girlfriend are back from our trip to the fabulous islands in the South. 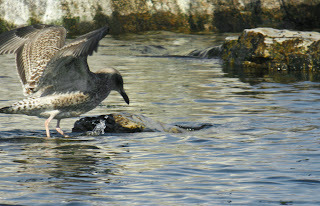 It wasn't just a birding trip but.. what can I say, how easy is it not to birdwatch at islands like that?! We saw almost everything we wanted. 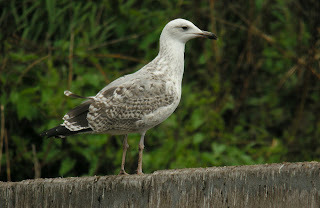 This includes Audouin's Gull, Marmora's Warbler, Corsican Finch, Lammergeier, Corsican Nuthatch and Barbary Partridge. Are you going there and want some information about good places, write me! Just a few days before our flight back home the vulcano on Iceland started throwing out ash. But yesterday we came home, 24 days after going away and five days too late. We needed to take a bus from Rome. 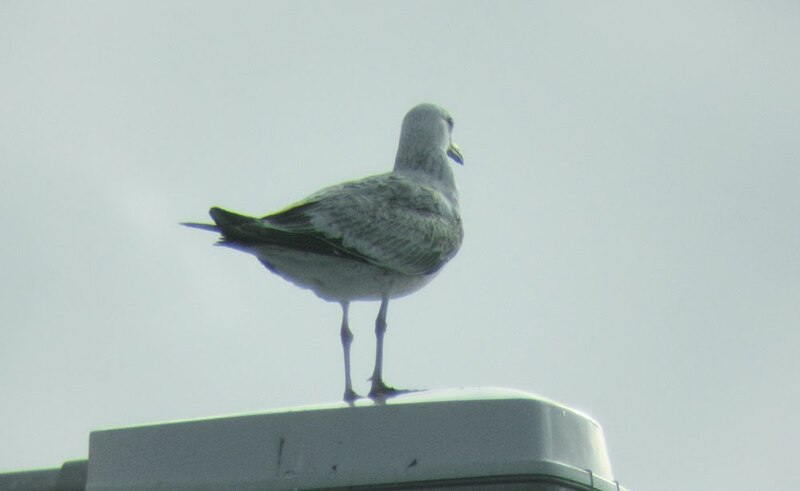 In Sweden I changed to train and when I sat there in my train on the Malmoe train station I saw a 2cy cachinnans flying by. What can you do when you're in a train, run after it? But fortunately it landed on a lamppost and I managed to take some pics trough my binoculars! A nice ending to the trip.